Hash browns should be hot, and parents should watch out for their children, but this is ridiculous. Robin MacLeod is suing Dunkin’ Donuts because she allowed her toddler to eat a hot hash brown that supposedly burned and scarred him. Yeah, if you’re having a McDonald’s hot coffee flashback, you’re right on track. She’s suing for $200,000. MacLeod claimed that the hash brown was only lukewarm but when the child broke open the snack, it was burning hot inside and dropped it onto his neck. 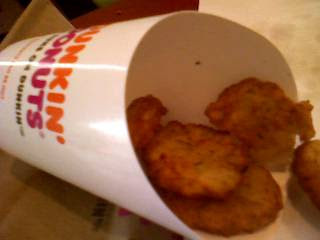 Is it just me, or if you got ‘lukewarm’ hash browns, wouldn’t you ask for hot ones? Hey, rocket scientist, they are supposed to be hot. And why are you letting your fifteen month old feed himself while you are driving anyway? 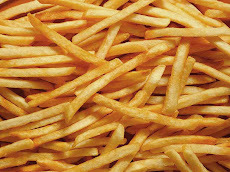 Hash browns should be hot.